My first impression upon receiving the Dakine Split Roller bag was it’s big. 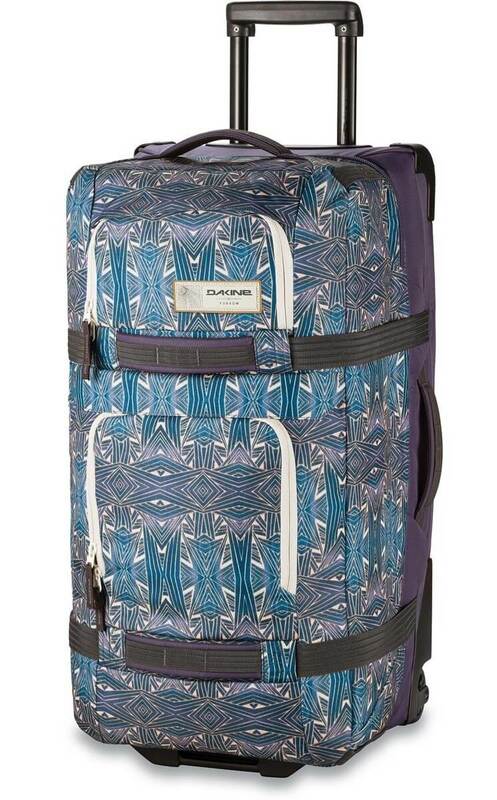 In fact, it’s the largest possible check in luggage size. 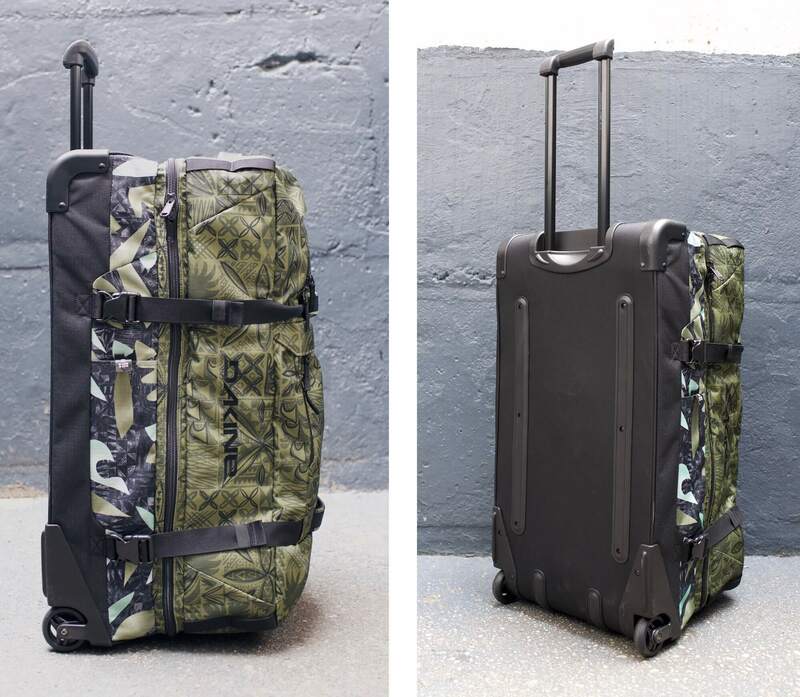 When it comes to transporting a lot of gear, few bags beat the Dakine Split Roller DLX bag. 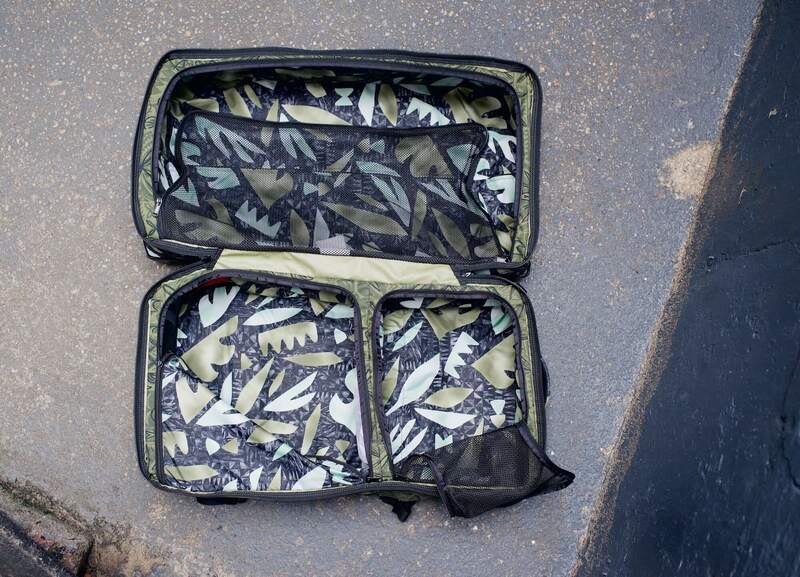 The bag’s clamshell opening reveals two equal-sized compartments, separated by zippered mesh dividers. There’s a generous amount of space on the inside – perfect for holding bulky items like ski boots, trekking poles and sleeping bags. 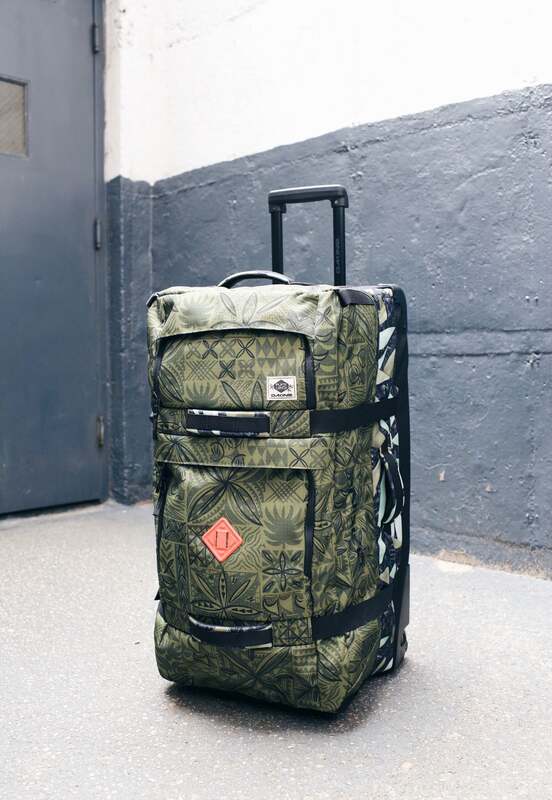 I’ve tested the Dakine Split Roller DLX 100L Bag in the Plate Lunch color. 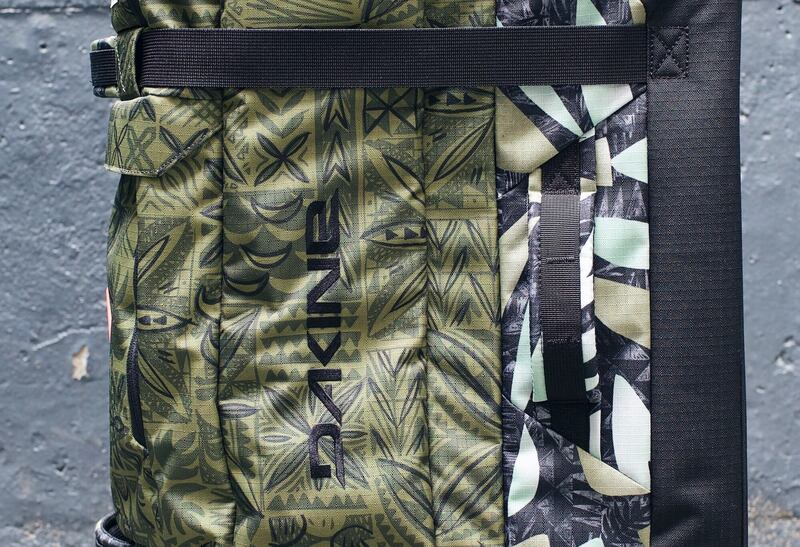 Dakine also sells non-DLX versions, which are $10 cheaper, and 85L sized bags, which are also $10 cheaper. 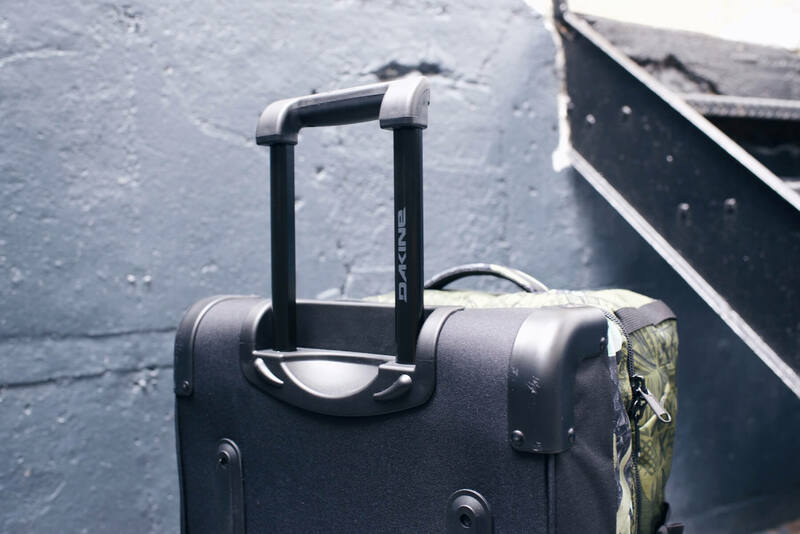 This review should apply for all of Dakine’s Split Roller bags – the DLX, non-DLX, 100L, and 85L versions – as they are essentially the same, except for different colors and sizes. The bag weighs 11 pounds. This weight was determined by my personal luggage scale, not the manufacturers’ specs. 32 inches is the maximum height for most airlines, and the total of exterior dimensions (32 + 17 + 13) is 62 inches, which is the maximum exterior dimension for checked in luggage for most airlines. Therefore, this bag is the maximum possible check in luggage size for most airlines, without being considered ‘oversized’. 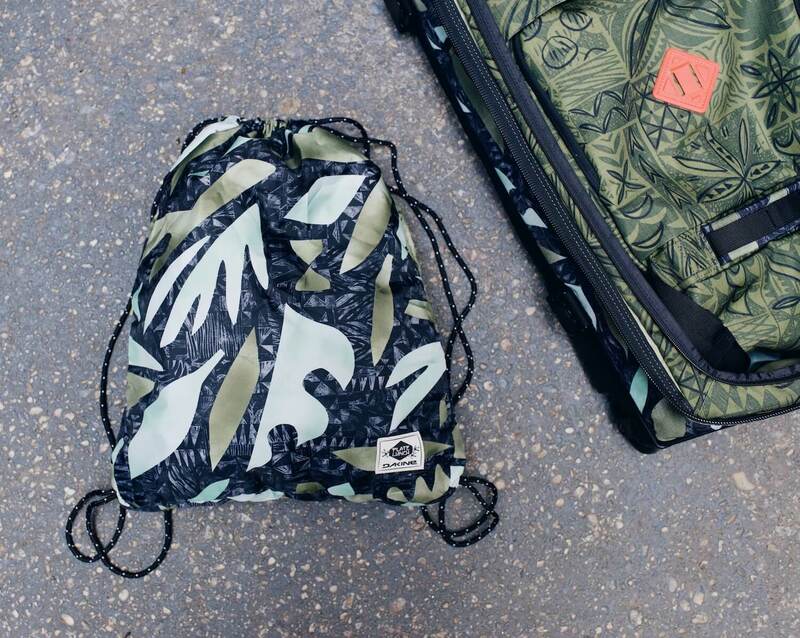 The print and colors are meant to evoke the Hawaiian aesthetic, culture and landscape. 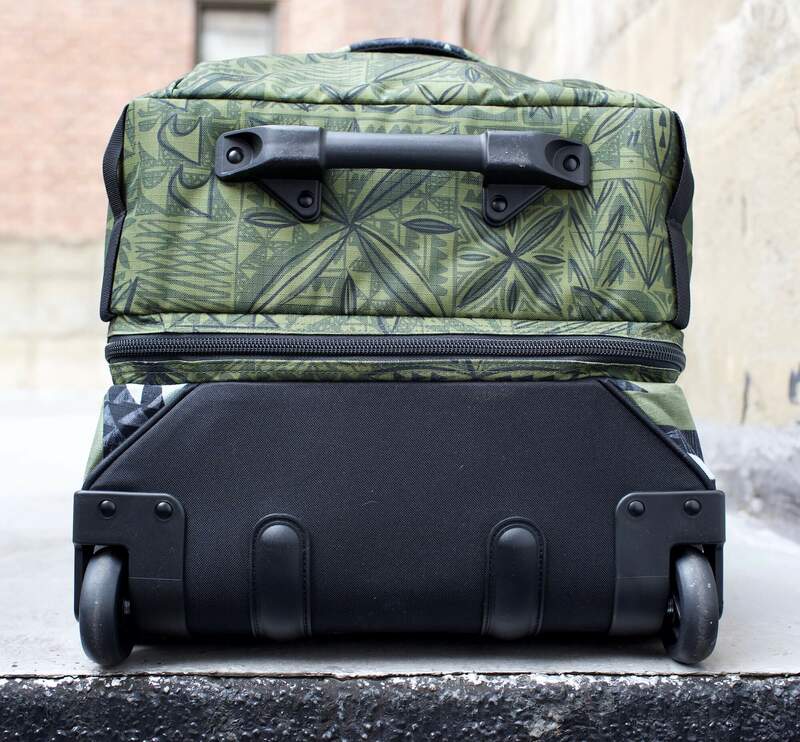 It’s detailed, well made and photogenic – you definitely won’t miss it on the baggage claim carousel. 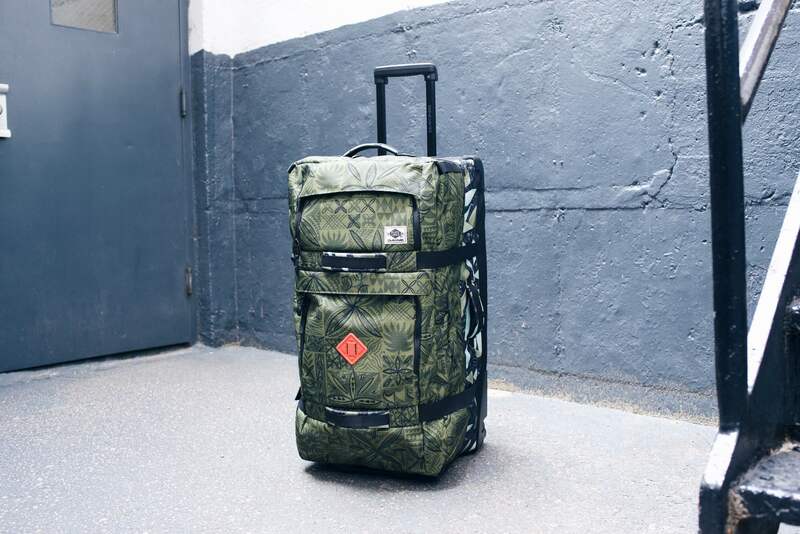 In addition to Dakine’s Plate Lunch colorway, the brand sells Split Roller bags in a number of other colors and patterns, including 6 made specifically for women. When not in use, the bag can be collapsed to about half the size. When packing, try to place your heaviest items towards the bottom of the bag. The Split Roller is stable regardless, but having your heaviest gear at the bottom adds extra balance. Should you get the 110 liter or 85 liter version? Considering the 110 liter version is only $10 more than it’s smaller counterpart, from my perspective, it only makes sense to get the bigger version. When traveling by air, both sizes must be checked anyways. If you don’t need the 110 liter capacity (it’s a lot of space), or find the 110 liter version unwieldy, go for the 85 liter. The 85 liter version measures at 30 x 14 x 13 inches, which isn’t a radical size difference. 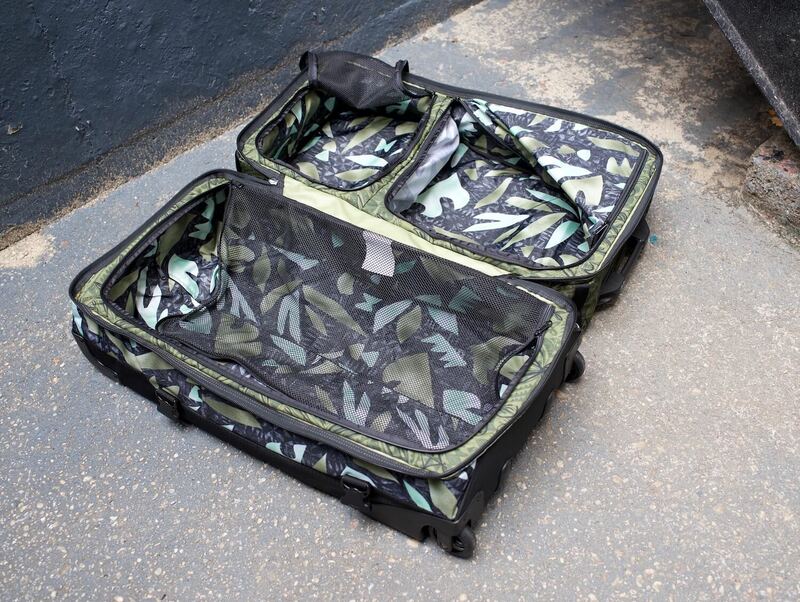 It’d also be perfect for those going on mission trips, as you’ll have extra space for materiel and other equipment. Read our mission trip packing list. The overall quality of the bag is good, although not amazing. 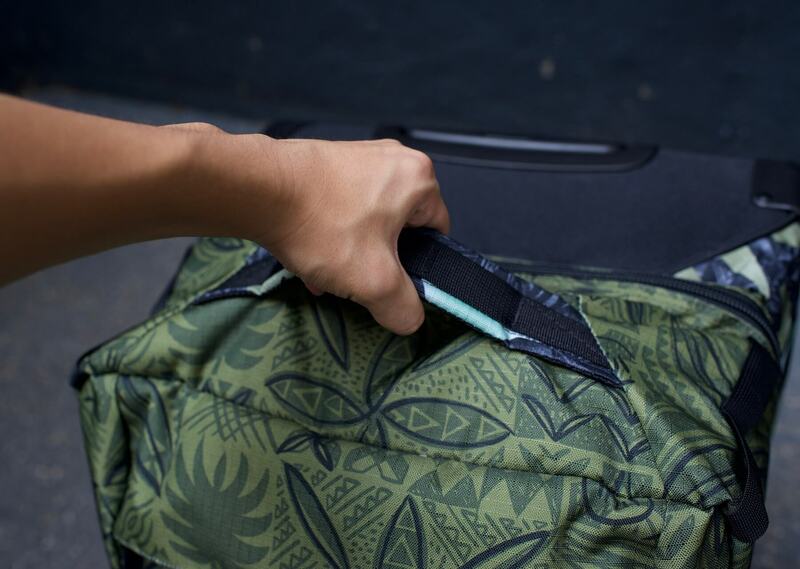 The corners and bottom of the bag are reinforced to protect the contents inside when checked-in. The zippers are reliable and lockable. None, although some may feel the 110L version is a bit too bulky. After testing the Dakine Split Roller DLX 100L bag, it’s clear that this bag is a real workhorse, perfect for holding the gear for your adventure. The $230 price tag for the DLX model is reasonable – not overpriced, but not cheap by any stretch. What are your thoughts? 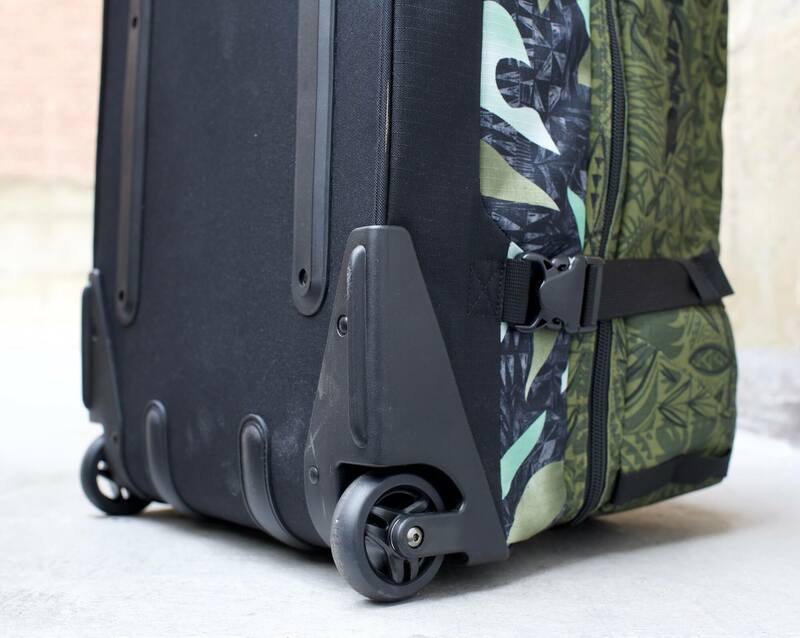 Have any questions about the Split Roller bag? Leave a comment below. 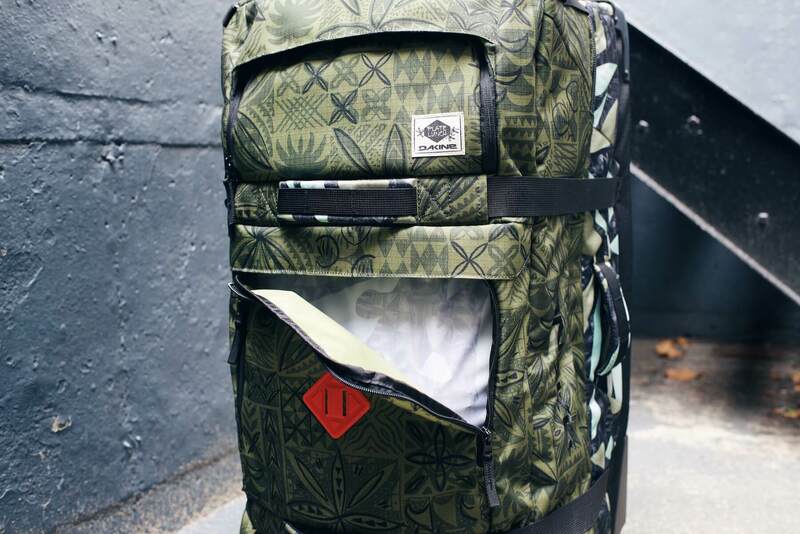 The Dakine Split Roller DLX Bag was provided for this review. 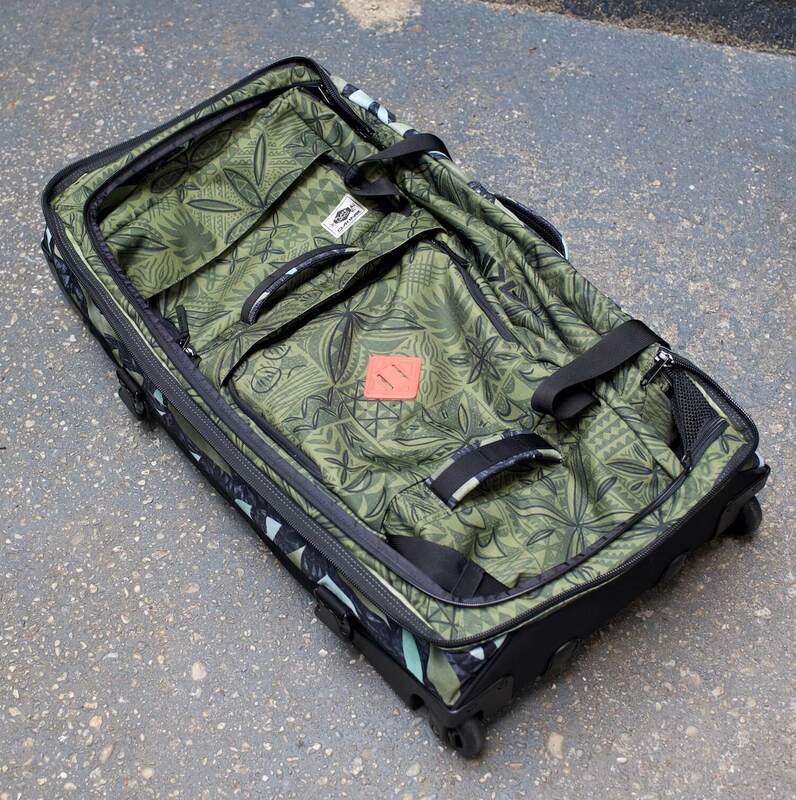 As always, this Dakine Luggage review contains only my honest views and opinions. 🙂 Find out more about me and this site here.